In Bean Thirteen, two insect buddies have collected 13 beans for dinner and would like to divide their loot evenly but it never works out. No matter what they do, they always have 'bean 13' left over. They invite a friend over, thinking dividing the beans by three will solve the problem. When it doesn't, they invite more friends over, but they can't seem to escape that left over bean. 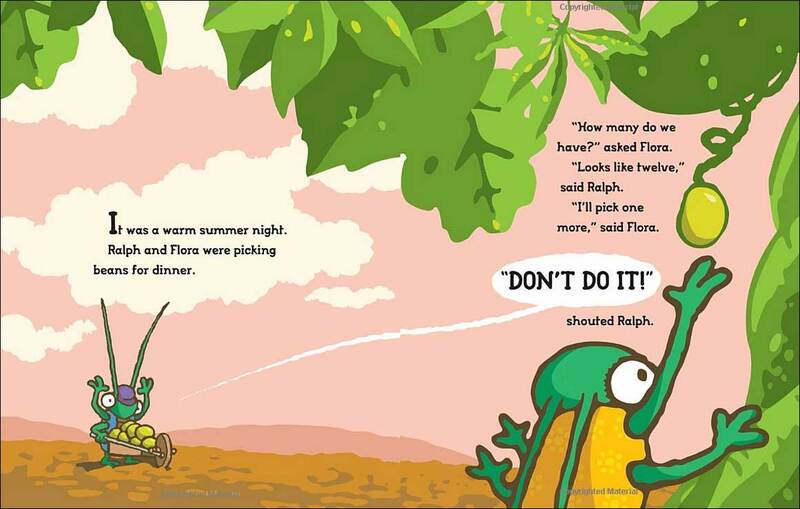 This is an ADORABLE, kid-friendly story for teaching division. The brightly colored cartoon illustrations appeal to kids and the whole party food predicament comes across as quite a serious dilemma for kids! And...the use of lima beans! What a natural lead in for hands-on classroom learning. Indeed, School Library Journal ended their review by saying "Youngsters will undoubtedly enjoy this funny tale; teachers will truly appreciate the connections it makes to their curriculum and the use of manipulatives in math." Below are sample spreads from inside this book. We love the illustrations... and kids will definitely "get" the division problem and be interested in how these cute little guys will be able to solve it. Bean Math -- a series of projects that use beans to explore concepts of odd and even numbers, division, remainders, fractions, and prime and composite numbers. 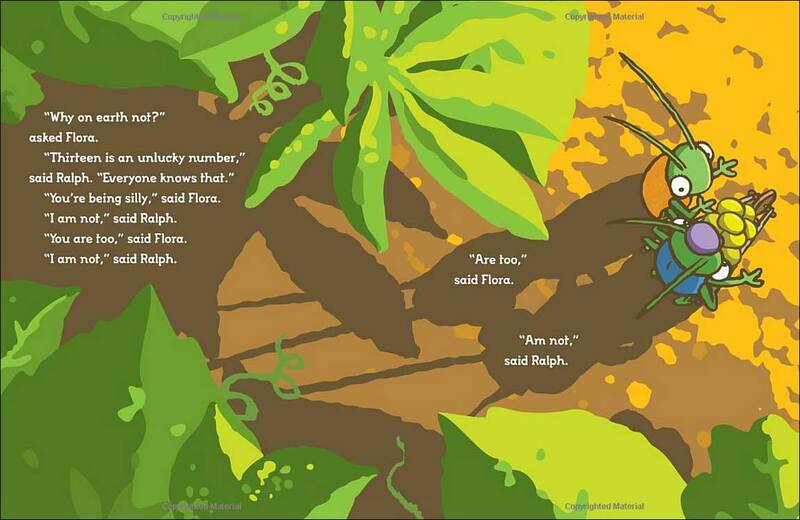 No More Beans -- where students select the appropriate parts of speech with the right number of syllables to complete a poem about Ralph and Flora. 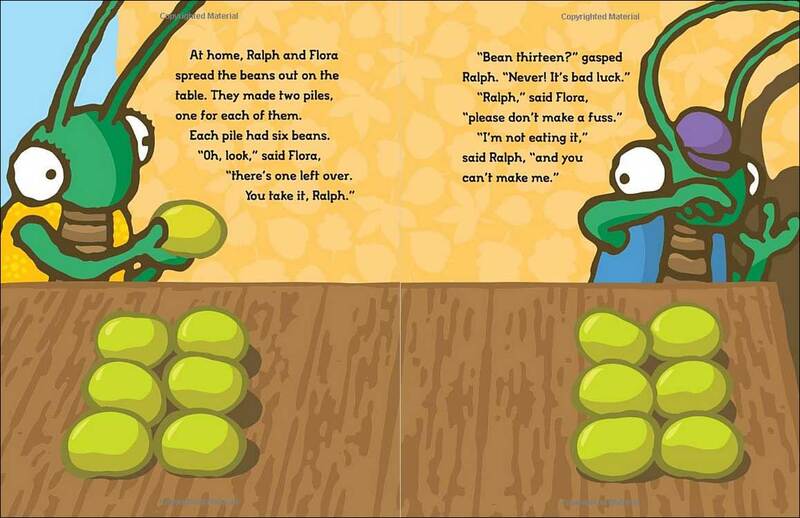 Flora's Magic Disappearing Bean -- a printable puzzle, where kids cut out the pieces and try to figure out how swapping two halves of the set of beans can turn thirteen into twelve. 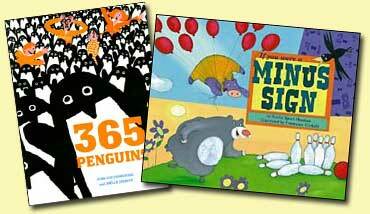 To see these Bean Thirteen lesson / activity ideas, click the link or the pictures below.